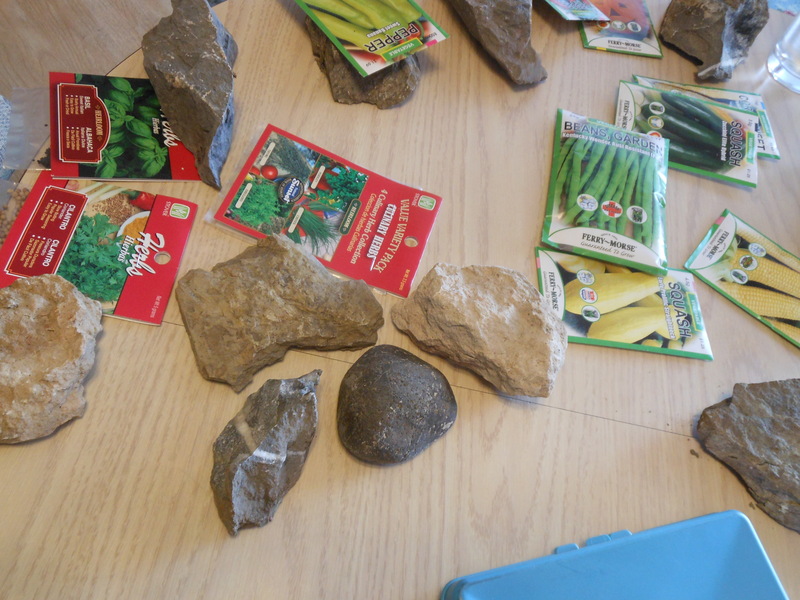 So I had been looking around for ideas of plant markers to put in my garden we’ll be putting in this spring. 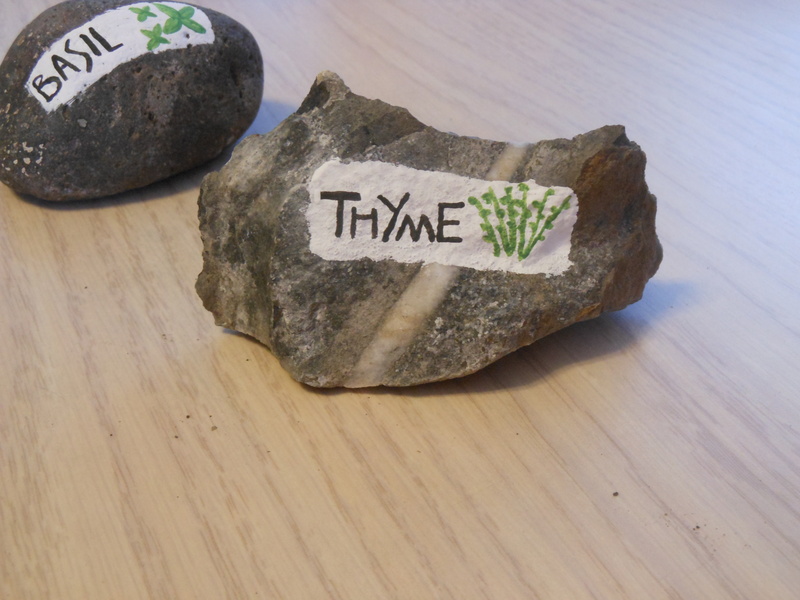 I really loved the smashed spoons with the plant names pressed into them, but didn’t want to take the time to figure out how to press the letters in the spoons, and I didn’t have a bunch of extra spoons… However I had seen painted rocks used as plant markers, and decided to utilize the extra rocks around the house! 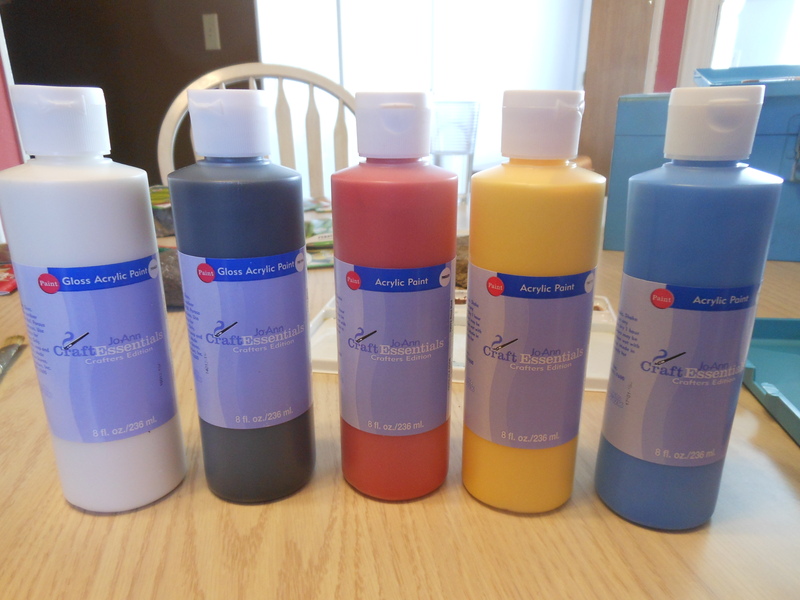 All I had to buy was acrylic craft paint to label the rocks (to save money here, I only bought larger versions of the primary colors, black and white so I could just mix for the exact colors I wanted). I have to say, I’m pretty stoked with the results 🙂 Here’s how to do it! 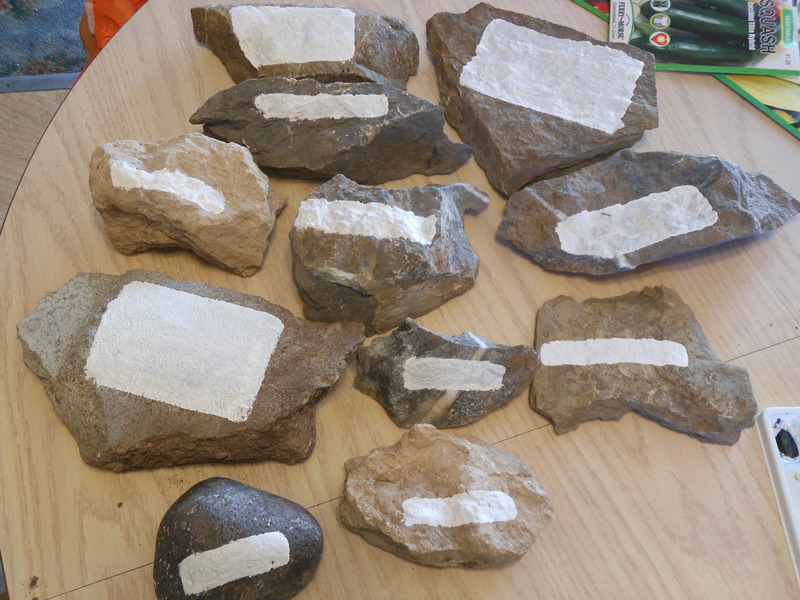 Step 3: Label your rocks! Make sure to think about what colors/designs you want on them, I just went with the basic black for lettering and a small rendition of the plant on the rock, but you could get really creative here. Step 4: Throw them in your garden and enjoy! 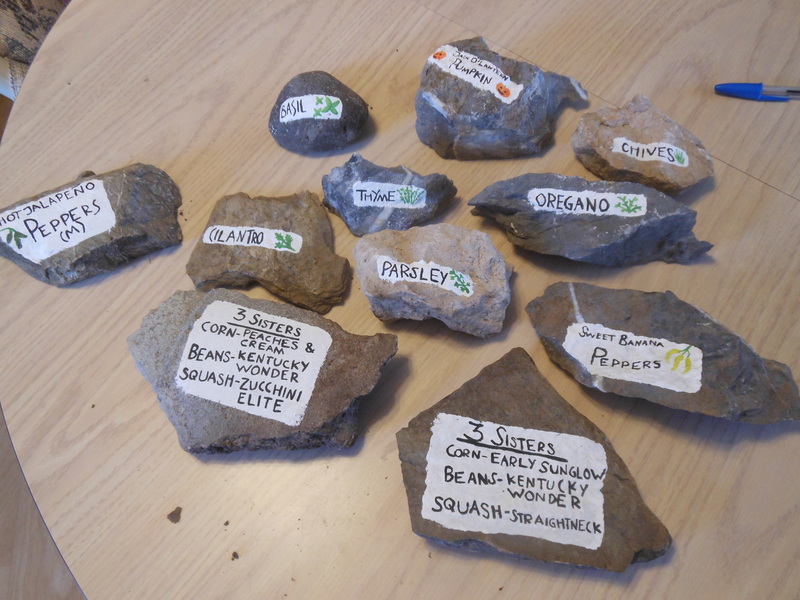 This entry was posted in DIY and tagged art, DIY, Garden, plant markers. Bookmark the permalink.